Particle accelerators laid the groundwork for advances in medicine, information technology, industry, and more. Particle physics is often seen as a field that deals with esoteric and abstract concepts that have little bearing on everyday life. However this has been, and continues to be, far from the truth. In 1930 in Berkeley, California, Ernest O. Lawrence, the father of particle accelerators, built the first cyclotron, and it could be held in one hand. Much larger, more powerful accelerators soon followed, with Lawrence often using them to produce medical isotopes for research and medical applications. In 1938, Lawrence’s mother became the first cancer patient to be treated successfully with cyclotron-generated particles. Now, physicians around the world regularly use particle beams to diagnose and treat millions of patients, saving lives. Other common applications today owe their existence to particle physics. 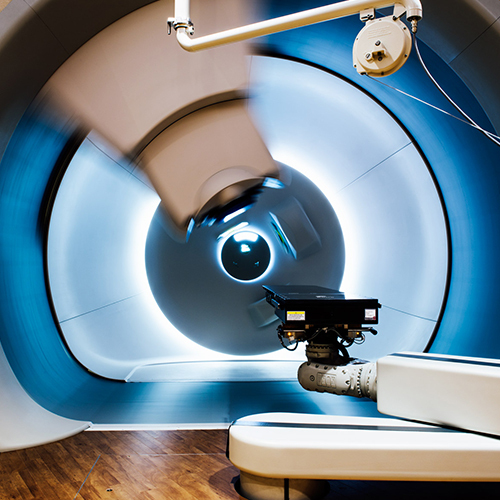 The superconducting wire and cables at the heart of magnetic resonance imaging (MRI) magnets make accurate medical diagnosis and staging of disease follow-up possible. And the wiring and infrastructure that create today’s most critical information space—the World Wide Web—are applications with origins in particle physics as well. Even the study of the behavior of fluids and fuel flow has been greatly advanced by particle detector technology. There are many other examples of practical applications that were developed with significant contributions from particle physics—from homeland security and food safety to nuclear waste management. A list of these can be found here.